In Yellowstone national park, there is a geyser named Old Faithful. On the average it erupts every 90 minutes or so. When it erupts, it sends some 4,000-8,000 gallons of water squirting to the sky some 100-200 feet in the air. The outburst of this geyser lasts several for several minutes. This has carried on for over 150 years at least. If you have seen Old Faithful erupt, you have also seen the many spectators who have gathered with their cameras engaged to catch this special event. There is something about this regular event that pulls in hundreds of spectators several times a day to watch. great is your faithfulness” (Lamentations 3:22-23). When God makes a promise, he keeps it until the end. He made a covenant with Abraham to bless him and his offspring (Genesis 12:1-3). He repeated it to Isaac and Jacob (Genesis 26:4; 28:13). He remembered it 400 years later when he saw the persecution of the people of Israel (Exodus 2:24). His promise was ultimately fulfilled in Jesus, who brought the blessing of God to the Gentiles. Paul told us that “it is those of faith who are the sons of Abraham” (Galatians 3:7). This promise has remained true for thousands of years. It is worthy of watching. 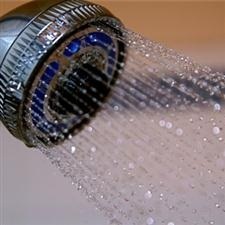 Like most Americans, my habit is to take a shower first thing in the morning. Not only does it help to start the day clean, but it also serves as time to freshen up and awaken from the world of slumber. I enjoy my shower each day. All Christians take a spiritual shower in the morning, whether they know it or not. “The LORD’s lovingkindesses indeed never cease, for His compassions never fail. They are new every morning” (Lamentations 3:22-23). Every morning, we get a fresh dose of the lovingkindness of the LORD. … Enjoy your shower.